Finding, hiring, and keeping amazing employees can be one of the toughest challenges facing a company. How do you, as an owner or hiring manager, find talent who have the right skills and mindset to achieve not only in the position, but also as a part of the company? There are 3 key points you can look at during an interview that can help warrant success upon hiring your newest employees: Potential, Goals, and Connection. Let’s take a look at each of these aspects individually. 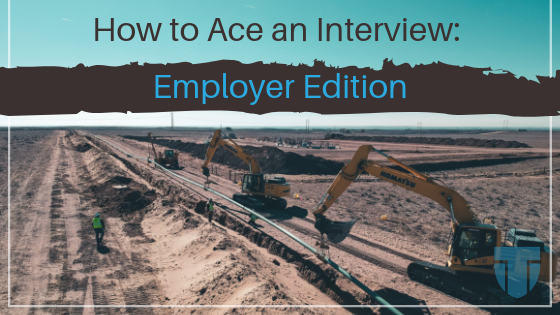 One goal of an interview is to assess the potential employee’s previous experience and decide if they’ve gained the tools they need to succeed at your company. Often, businesses want their new employees to already have all the required skills and knowledge they’d need to succeed at their new position. In a perfect world, those people would be plentiful. However, this isn’t a perfect world. Finding those people can be like finding a needle in a haystack. Not all hope is lost though. There are plenty of people with the baseline knowledge of your industry and the potential to learn and excel at acquiring the rest of the knowledge. The best employees are often the ones who are hungry for knowledge and always taking on new challenges, taking their position to a whole new level. This is what you want to look for in a new employee: someone with the potential to not only excel at their new position, but who will also seek constant growth within themselves and the position, taking both to new heights. Once you have a good sense of where they’d like to go, assess if their goals seem like they could align easily with the company’s goals. Next, you want to look at goals. It’s important to consider the goals of both the potential employee and the company. For the potential employee, what motivates them? What are their ultimate goals in life? How do they plan on getting there? Once you have a good sense of where they’d like to go, assess if their goals seem like they could align easily with the company’s goals. Also look at how their goals align with the job. Let them know what to expect from the role, such as how are they going to be managed, what would their daily tasks look like, etc. Inquire into what are they hoping to get out of the job and gauge if that matches the position. If the goals don’t align, this might not be a blissful, long-standing match. Lastly, but most importantly, do you feel a connection to the potential employee? Listen to your internal instincts. Did you get excited about the person when you were interviewing them or did something specific grab your attention? It can be hard after just the first or second time meeting with someone to know if they are a good match for your company or not, however, really try to pay attention to the voice in your head and see if there’s just something about them that stands out. Is the potential employee a good match for the company, not just in skills and knowledge, but in attitude and values? Listen to yourself and decide if you think the potential employee is a good match for the company, not just in skills and knowledge, but in attitude and values. Will they fit your company culture and get along with the other employees? If not, that can make a huge impact on the success of the potential employee and, in the long run, the company. Finding the right employees can be tough and sometimes you might even have to do some searching on your end. However, if they have the skills, potential, goals, and you feel they can connect easily with the company and it’s people, they may be a great fit for your company! What are more features you look for while interviewing someone to see if they’d make a great match for your company?